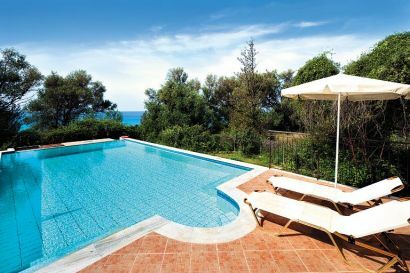 The jaw dropping Blue Bay villa has large private pool with a relaxing terrace and balcony. At only 100 meteres from the beach the Blue Bay villa could not have a better location and its views are a real attraction, there are few better views than this on the whole island. 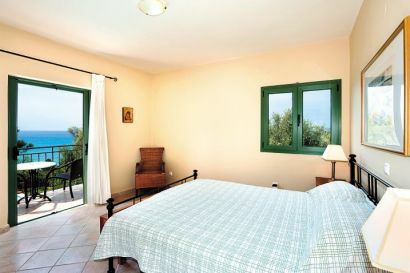 With the vibe of a classic Greek holiday home you will find this accommodation comfortable and airy with a truly home from home style. 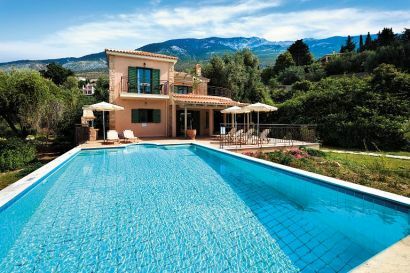 The pool area is huge and has a terrace for you to relax and take drinks in the sun while taking in the marvellous sea views that make this villa so special. 1. 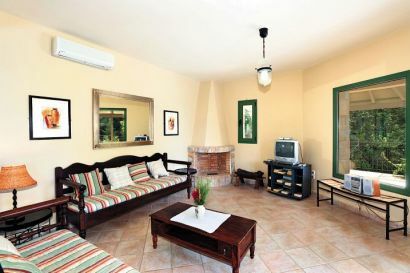 You can check the Blue Bay villa availability and package prices at Thomson Holidays. 2. You can also book and check prices at Blue Bay villa with First Choice the cheap holiday specialist.